Uma (Angela Andueza) was born in 1974 in a small town of the Basque Country. When she was 21 years old she moved to London. She lived there for seven years during which she worked in marketing and investment banking whilst studied part-time a BA in Management at Birkbeck College from the University of London. 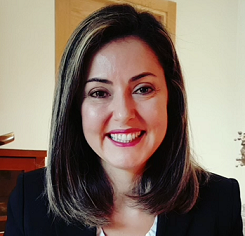 During the last two years of her stay in the UK she worked as a trader in the forfaiting department of Standard Bank Limited and in 2002, back in Spain, she studied a Masters Degree in International Trade at the ESIC Business and Marketing School. In 2004 started to work for Panerai Watches at the Richemont luxury group in Madrid. After this initial period of business education and work experience that never felt to truly fulfill her, in the summer of 2007 she took the Sivananda Yoga Vedanta Teacher Training Course and her life changed. Here, she also received her “spiritual name” of Uma, and in the teaching of yoga and in the holistic study of the human being she found her real passion. Soon afterwards she resolved to become a yoga teacher and a holistic therapist. With this new prospect, during 2008 she studied Applied Kinesiology at the Spanish Association of Applied Kinesiology and in 2009, Holistic Kinesiology at the Spanish Association of Holistic Kinesiology. From 2010 onwards she started to treat patients. From 2008 until 2010 she took the “Immersion” and the “Teacher Training Course” of Anusara Yoga with Jayendra Hanley and Susana García Blanco and special workshops with Martin Kirk, Desiree Rumbaugh and Carlos Pomeda. Motivated by the fact that some of her students became pregnant, she took the intensive and fascinating course on “Kundalini Yoga for Pregnant Women and Babies”. She continued to receive further training as a therapist and in 2009 she attended a workshop on “Homeopathy for Kinesiologists” and a course on magnetism on the body points defined by Dr. Goiz called the “Par Biomagnético del Dr. Goiz”. That same year she received the Reiki initiation and studied the E.F.T. technique. In 2010 she started the Herbal Chinese Medicine training also named “Biological Medicine” at the Insumed Institute. In May 2009 during a Yoga Congress in Madrid she took a master class with the Mahashakti School from the North of Spain. She left utterly impressed by its beautiful philosophy that said that we should not look for external gurus but connect with the inner teacher that lives in our hearts. That summer she attended their intensive Celular Yoga Course and their Integral Vipassana Meditation practice. After 3 years of a regular yoga and meditation rutine, Uma felt that she needed to “jump out of the mattress” and bring in more “life” into her life: more laughter, happiness, contact, play, fun and spontaneity. So, in 2010, she took the Biodanza teacher training from the Biodanza International Institute. Biodanza, reconnected her with her heart, her sense of joy, her inner child and helped her release a lot of her shyness, self awareness and rigidity, making her a more “human” being. As it happened with yoga, or even more so, Biodanza had a big “before and after” effect on her. Other techniques and workshops that had an impact on her personal development were: a seminar on “Forgiveness” from the Consciousness Association and the personal practice during three months of the Presence Process described on Michael Brown´s marvelous book with the same name. Between 2011 and 2014, she carried out a three years training on Akashic Records readings or “Karmic Soul Healing” through a unique radionic system that allows to access and heal karmic trauma and different energy-information. She has used this tool with clients from June 2013 with very profound changes and amazing results. Understanding, from direct experience, the influence of family lineages, past lives, karma, the effect of the energies that surround us and mainly, that true healing comes from forgiveness and love, produced a new change, vision of the world and personal purpose in Uma. 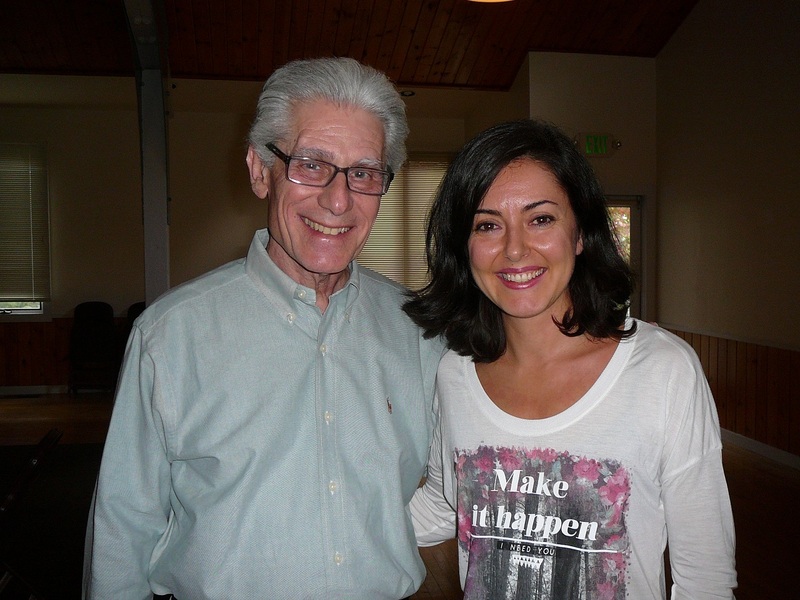 In October 2014 she attended a “Past Life Regression Therapy” workshop at the Omega Institute, North of New York, with Dr Brian Weiss, author of the bestseller “Many teachers, many lives”. Various personal experiences at the group regression practices with this Master, as it cannot be described otherwise, reconfirmed her previous beliefs, and increased her awareness of the need for LOVE-FORGIVENESS in the world. In 2015 she studied the course “Regenerative Therapy” with specific Radionic figures which enabled her to project very high vibration energies that remove dense vibration ones, facilitating the reconciliation process during the sessions. From 2015 to 2016 a small group of students continue further training connecting twice per week on Skype with their teacher to work with energies of even higher vibration that enable to do even more complex healings. This training helped Uma develop her sensorial skills, which is an essential tool when working with clients online, to both recieve key information and facilitate the process of healing. Contact Uma at uma@forgiveyourkarma.com should you have any questions or wish to book a session. Click to go to the “Prices & Booking” information. How to Use Prayer to Achieve your Goals. Video 1: What to Ask For. Video 2: Meditation vs. Prayer. Video 3: Whom to Ask To. Video 4: Finding the Answers. Video 5: Giving Thanks & Taking Action. © 2019 forgiveyourkarma. WordPress Theme by Solostream.